May Arts Ribbon has teamed up with Faber Castell for a week long inspirational blog hop! 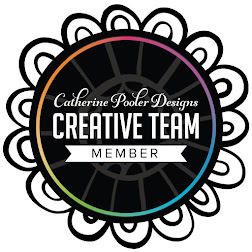 I have a few projects to show you, as products from these two companies work so well together! 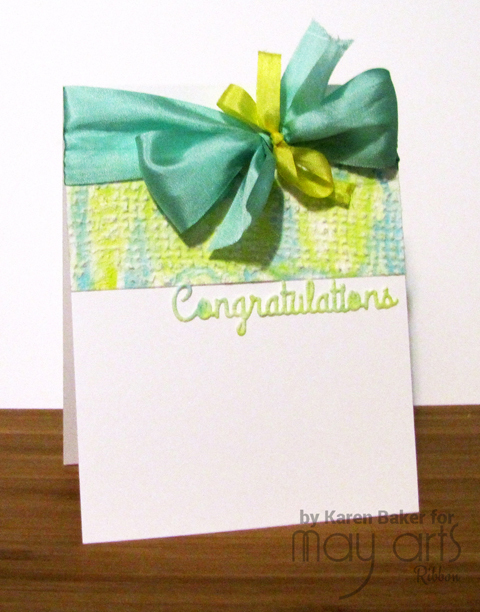 My first card features a textured panel. I created this panel by blending a few of the Faber Castell Tropical Gelatos together with Faber Castell's Whipped Spackle. I then laid some May Arts Burlap Ribbon in 2.5" width (398 series) over the panel and pressed the spackle into the grooves, and after a bit of drying time, carefully lifted the ribbon off the paper-leaving a lovely, weaved texture. Before attaching the panel to the card, I die cut a greeting from Spellbinders Die-D-Lites. I finished the card with a luscious bow of 1.25' May Arts Silk Ribbon in Robin's Egg Blue (SK98) and 1/4" Silk Ribbon in Yellow (SK27). 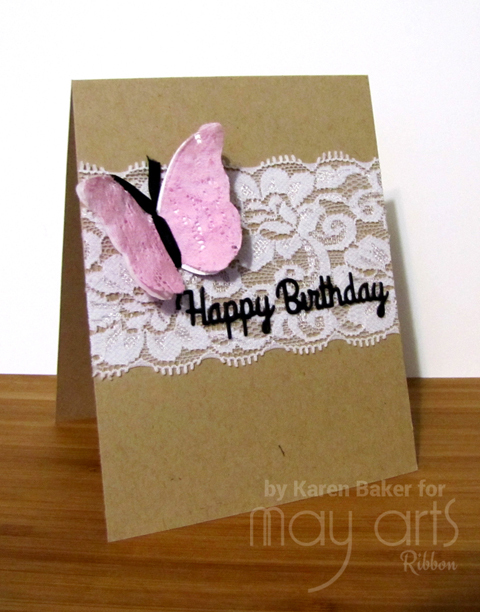 My second card features a die-cut butterfly made from May Arts 2.5" White Elastic Lace (490-25-01) colored with Tropical Gelatos. The Whipped Spackle made the lace taught enough to run through a die cutting machine! I made an antennae with May Arts 1/8" Black Silk Ribbon (SK10) and adhered it to the card that had been embellished with the same lace and another die-cut greeting. from Spellbinders. My final project features a textured pattern tag made from May Arts 2.5" White Elastic Lace (490-25-01) and the Whipped Spackle that has been tinted with Tropical Gelatos and die-cut with a Lil' Inkers Design tag. 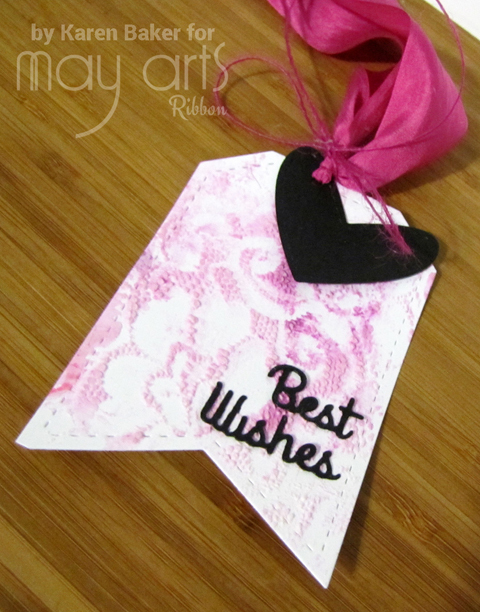 I added a die-cut heart from Lil' Inker Designs before finishing the tag with a Spellbinders die-cut sentiment and a bow from May Arts 1.25" Silk Ribbon in Fushia (SK22) and Grape Burlap String (SM-36). Of course, there is a giveaway as well! A $50 prize pack consisting of Faber Castell goodies and 3 rolls of May Arts Ribbon! More details are on the May Arts Blog. LID:: Monthly Meet Up Challenge! Woo-hoo! 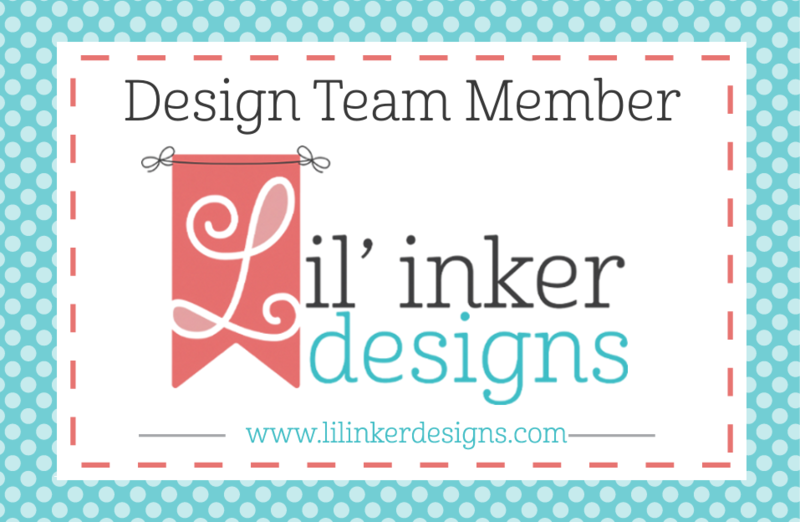 Lil' Inker Designs has started a Monthly Meet Up Challenge! Link your project to our challenge by using the InLinkz tool found on the LID blog! 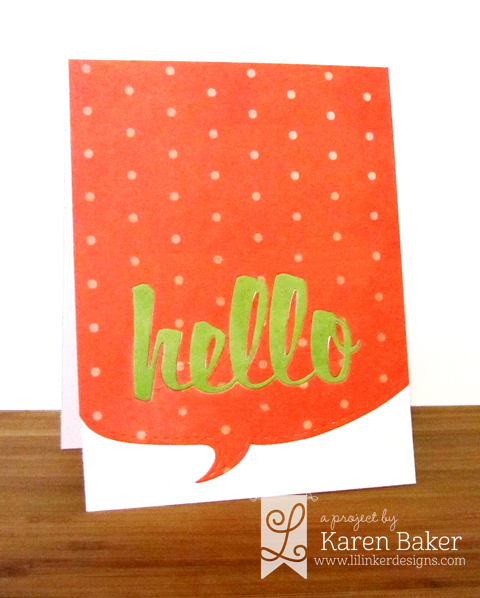 My project features the Hello Word Die and Speech Bubbles Die Set! Easy peasy!